Quilts to warm the heart, soul and bedroom. Few things say I love you like a handmade quilt. This is a collection of 12 big, beautiful quilts specifically sized to fit large beds (queen and king). Constructed from Mary’s favorite fabrics for a fresh, contemporary aesthetic, these scrap quilts have depth and energy. 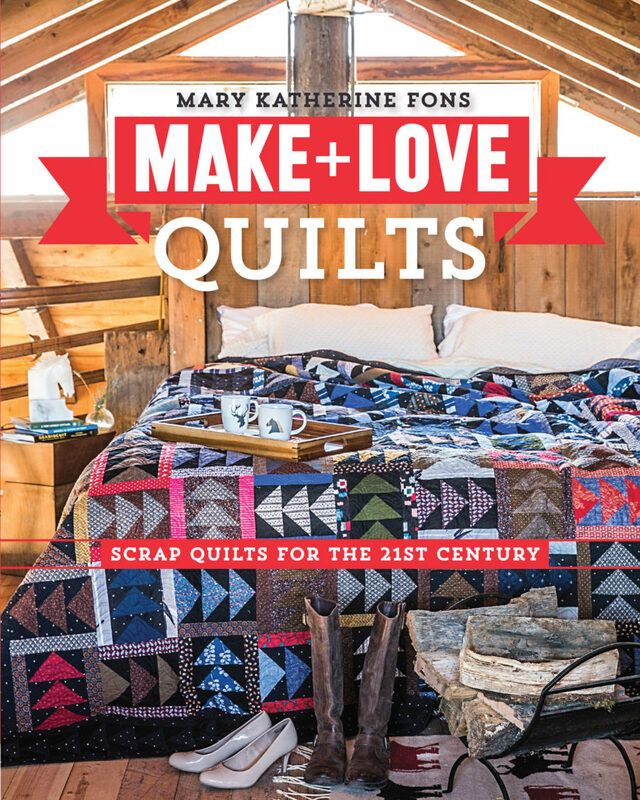 Make+Love Quilts is now available from C&T Publishing/StashBooks at bookshelves, quilt shops, and online retailers.